It’s day one. Your ediscovery data has been collected and loaded into DISCO. Now what? What does your collection of documents look like from a high level? How should you organize your review workflow? 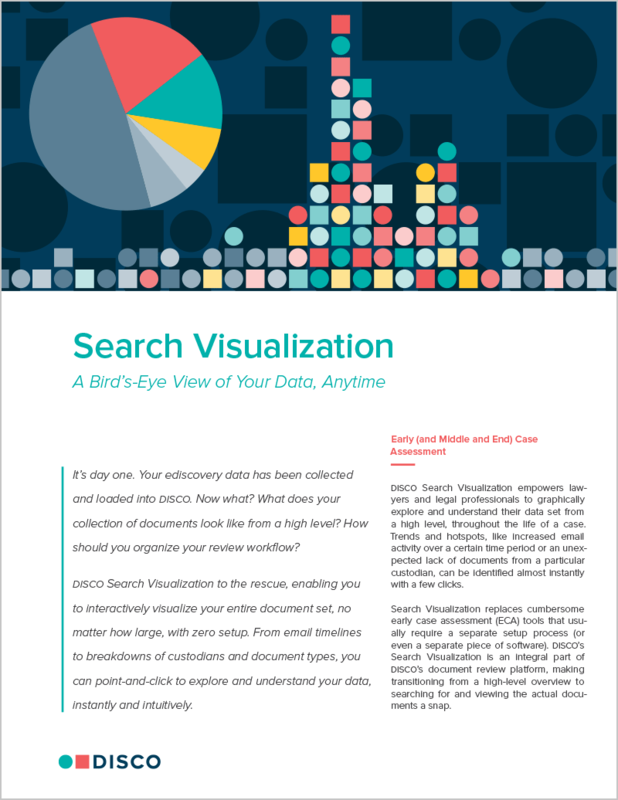 DISCO Search Visualization to the rescue, enabling you to interactively visualize your entire document set, no matter how large, with zero setup. From email timelines to breakdowns of custodians and document types, you can point-and-click to explore and understand your data, instantly and intuitively.